Stop moisture coming through your walls and eliminate mould, mildew, efflorescence and paint blistering. 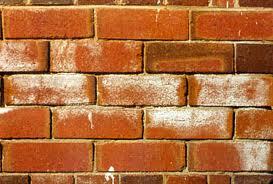 Single brick walls can be made water repellent from either the outside or the inside depending on accessibility. 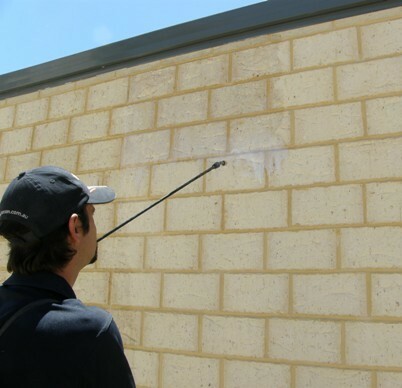 Treating the wall will stop moisture travelling through the brick carrying dissolved salts to the other side and on evaporation shows as efflorescence on the surface. The efflorescence will slowly deteriorate the surface of the brick and significantly shorten the life of paints & coatings as well as damaging stored goods. Standard render with two coats of white paint. Render Water Repellent applied, and two coats of white paint. Untreated section shows moisture coming to the surface. On treated section moisture is prevented from coming to the surface. crystallised resulting in damage to render and paint. surface nor any deterioration of the surface. Moisture is rising up the wall, and the cycle will continue. SiteFresh Web Design | Copyright © 2012 Steinwerk Solutions. All Rights Reserved.